Olive oil is rich in minerals, vitamins, and natural fatty acids. The oil is considered as the best component of many anti-aging skin care products. Because it is rich in antioxidants, olive oil prevents aging of skin and retains the glow of skin. 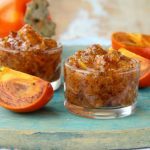 Let us read to know some effective homemade olive oil face mask recipes have a look and try yourself. 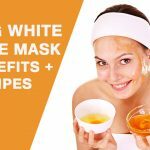 How to Make Olive oil Face Mask? Discussed below are different face masks of olive oil combined with different ingredients to enhance your skin. Mix 1/3 cup of yogurt, 2 tablespoon of olive oil and ¼ cup of honey carefully until you prepare a thick solution. Apply the solution over your face and sit back for 20 minutes. Wash it off by lukewarm water. How it works: Honey functions as humectants to enhance the glow of your skin. Tips: Increase amount of yogurt to make the paste thicker. Mix 2 teaspoons of baking soda and 1 teaspoon of warm water to create a paste. Rinse off the face using 1 cup of water and massage the mixture over your face in circular motions to softly cleanse the skin. How it works: Smoothing your skin, diminishing the occurrence of pores, and decreasing any discolorations of skin issues are the important aspects resolved by this face mask. Tips: Make sure not to use cold water while forming a paste. Take ½ cup extra virgin olive oil and then mash a small ripe avocado. Mix them together till you get smooth paste. Allow it to leave on for 12 minutes. Wash it off using 1 cup of water. 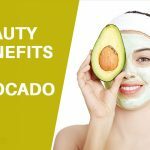 How it works: The face mask is found to be safe and natural properties of avocado are reflected to bring back glow of skin. Tips: While applying be gentle around your eyes. Softly crack and beat one egg into one small bowl. Add 1 tablespoon of natural unbleached flour and ½ teaspoon of olive oil. Apply the mask and softly massage it to exfoliate your skin. Allow the mask to stay for minimum 20 minutes before rinsing. How it works: Egg yolks contains albumin, functioning to refine pores as well as it dries the skin. Tips: Increase the amount of milk to make the paste smooth. Spread on this mask on face and neck. Allow it to sit for 15 to 30 minutes. Rinse it off using 1 cup of lukewarm water. Follow the mask using any facial moisturizer. How it works: The citric acid present in lemon juice helps to restore glow of skin. Tips: Use fresh lemon juice only. Mix ½ teaspoon of turmeric powder, 2 teaspoon mashed banana pulp and ½ teaspoon honey with a spoon till it becomes creamy. Leave it for about 30 minutes and rinse it off. How it works: Vitamin C contained in Turmeric functions to lighten the dark spots as well as patches. Moreover, it maintains the firmness of skin and tightness by building up collagen. Tips: Increase the amount of banana to make the mask smooth. Take 1 tablespoon of coffee powder and 1 tablespoon of olive oil in one bowl and blend it well. Apply the mixture evenly on your neck and face. Take care not to dry on the skin. Wash the face mask after 3 minutes. How it works: The present face pack is considered as a boon to people having dry skin because it can moisturize the skin through help of its rich source of vitamin. Tips: You can add 2 -3 drops of water to make the paste smooth. Smash one banana and mix it with 1 teaspoon of cucumber juice and 1 teaspoon of olive oil. Apply it over your face. Sit back for 20 minutes and rinse it off. How it works: Banana works smoothly to lock the clogged pores and thus enhance your skin. Tips: If your skin is dry, increase amount of banana. Mix 3-4 drops of castor oil with 3-4 drops of olive oil. Massage it over your face for getting wonderful glow that continues for many hours. Place one warm damp cotton cloth over your face for around 1 minute. Eliminate the excess oil using a cotton pad. How it works: Castor oil penetrates deep inside your skin, hydrates and softens like no other oil. Tips: for dry skin use 2 drops of castor oil with 6 drops sesame oil. Mix 2 teaspoons orange peel powder, 1 teaspoon oatmeal and 1 teaspoon baking soda into a bowl. Add some water till a thick paste is created. By help of fingertips, rub a thick coat of this mixture over your face by using gentle circular motion. Sit back for 15 minutes. Rinse off your face using cold water and then pat dry using a clean towel. How it works: The mask will function to make your skin will feel wonderfully soft and appear clean as well as moisturized. Tips: Take care to collect your hair away from the face prior smearing the mask. All the discussed Olive oil face mask recipes assure to give guaranteed results to your skin. However, in case of skin allergies, you can consult a doctor.